Franchise Facts: Are Franchise Non-Compete Agreements Enforceable? 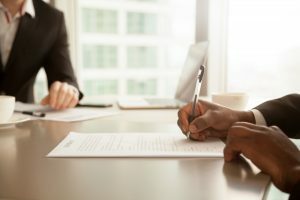 Most franchise agreements contain restrictive covenants limiting a franchisee’s ability to compete after the termination of the relationship. And the reality is that, unless you live in California or a few other jurisdictions, many restrictions are enforceable. So if you are buying a franchise, it’s important to understand from the outset what your obligations will be. Restrictive covenants take many forms. Some covenants restrict competition during the term of the franchise. Others restrict competition after the franchise relationship has ended. Restrictive covenants can bar franchisees from soliciting customers, and can also restrict franchisees from soliciting and/or hiring employees of the franchisor. Whether or not a restriction will be enforceable in a court of law depends on many factors, such as the scope of the restriction, the length of time for the restriction, and the geographical reach of the restriction. Many courts also balance the need for the restriction against the impact on the franchisee’s ability to earn a living. However, the reality is that many restrictive covenants are enforceable. The ramifications of restrictions on departing franchisees can be devastating. For this reason, franchisees need to consider their exit strategies when entering into a franchise relationship and need to make sure any restrictions are clearly defined and as narrowly drawn as possible. For example, a pizza franchisee with dreams to stay in the food industry will want to make sure his restrictions are not so broad as to preclude the sale of chicken wings or participation in full-service restaurants. A window cleaning franchise will want to make sure his restrictions will not preclude handyman services or general contracting. Given the potentially crippling effect of many restrictions, it makes sense for franchisees to clarify their obligations early, and before entering into a franchise relationship. Franchisees who purchase a franchise as a continuation or extension of an existing business should be particularly careful when it comes to non-competition provisions. This is because the franchisee’s old business will undoubtedly get merged with the franchisee’s new franchise. If the franchisee is presented with an opportunity to exit the franchise, it is often very difficult to separate the old business from the franchise concept. If the franchisor opts to enforce its non-compete, the ex-franchisee can find himself severely limited or even precluded from operating his old business. The ex-franchisee may be faced with claims by the franchisor that the ex-franchisee’s customers and goodwill belong to the franchisor. Franchisees who purchase a franchise to branch off in an already established field must be sure to outline exactly how a breakup will be effectuated, and how the pre-existing business will operate in the event of a separation. 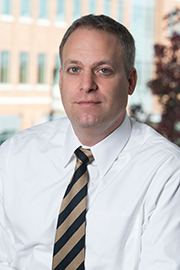 If you have any questions about franchise law, please contact Brian Loffredo at bloffredo@offitkurman.com.